The Michigan Lamp Table is an eminently practical item, ideal for anyone looking to add splendor to their living room setting. It provides the fresh originality of contemporary design without comprising the strength and charisma of traditional furniture. 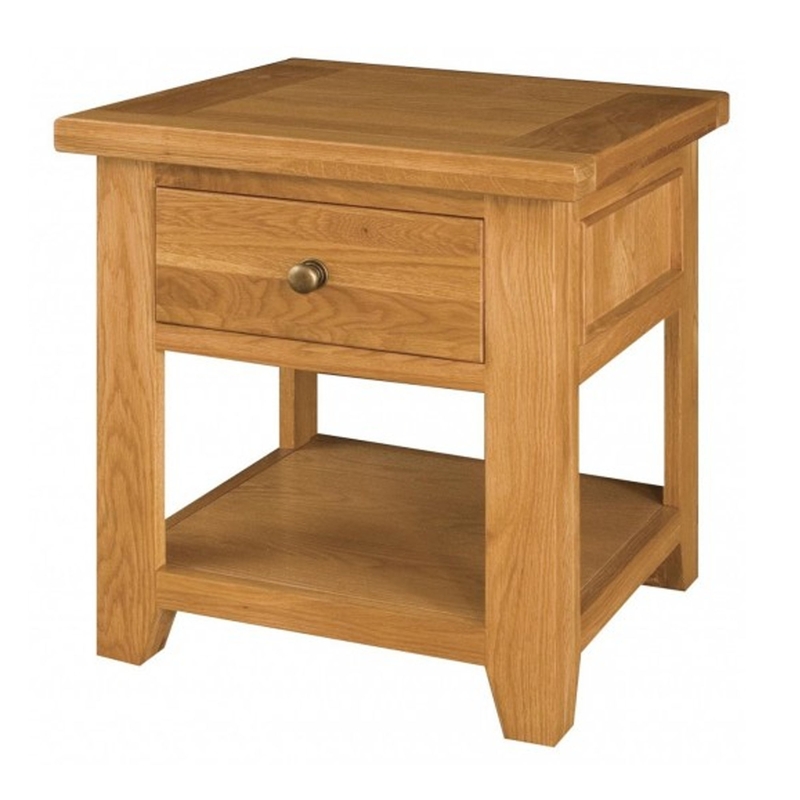 This Michigan Lamp Table is fitted with a lower shelf and a spacious drawer. It also features a traditional rustic design influence with its chunky legs and overhanging top. Hand-crafted to the very high standards of quality and as such is destined to be an enduring and much admired fixture within any home it graces. It is a fine example of resilient, practical furniture which also benefits from eloquent good looks. The drawer is dressed with antique style metal handles, a lovely finishing touch.